Small and slender, three to four inches long, with large ears, small eyes and pointed nose. Light brown or light gray. Droppings are rod-shaped. 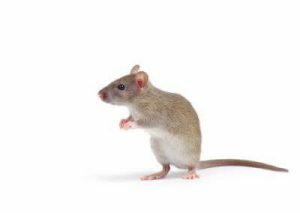 Effective rodent control involves sealing as many holes and cracks as possible in the outside of your home. Keep firewood stored as far from the home as possible and store it off the ground. Remove piles of debris, stones, bricks and leaves near your home’s foundation. Stuff large holes or cracks in your foundation with steel wool or wire mesh before sealing with caulk or foam—otherwise mice could chew through these materials. And since mice can slip under many garage doors, don’t forget to tightly seal the door from the garage to the inside of the house.